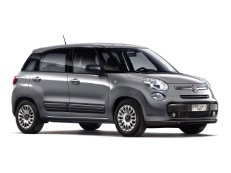 Correct Wheel Sizes, PCD, Offset, Rims and Tire specs for Fiat 500L series. Hi,Riki Lanegan,Normally,The thread length is 28mm. Is the 2015 Fiat 500L wheel the same size as the 2016 Fiat 500L. Hi,Paul Tavares,Yes,you can use it.